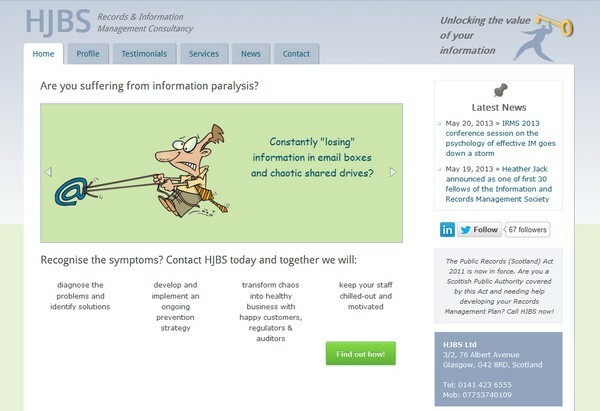 Developed this website for Heather Jack (HIBS Ltd), a Records and Information Management consultant. The website was designed to match the client’s current logo and print material. 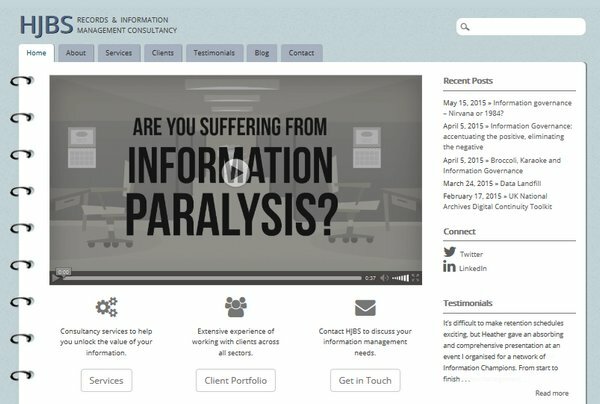 Features include a front page content slideshow, a contact form, a testimonials section and blog, along with interactive HTML 5 elements. 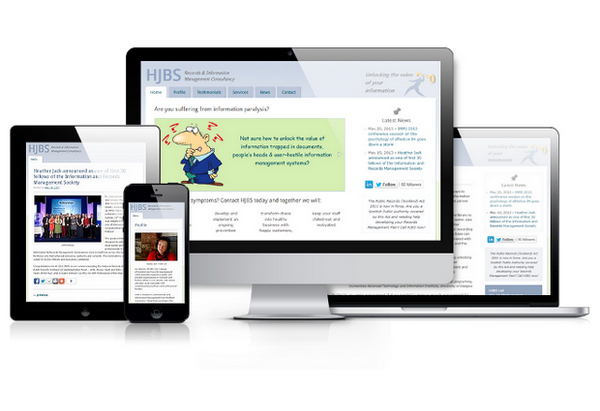 The design is responsive so that it scales to fit any browser size.